Well the initial visit to the Texas Death Records on FamilySearch was great, but now I have to go check those names out and see if I can hammer down some information. I’m going to look specifically at the children of Thomas H. Innis (siblings of Thomas B.) to see if I can sort out the families. 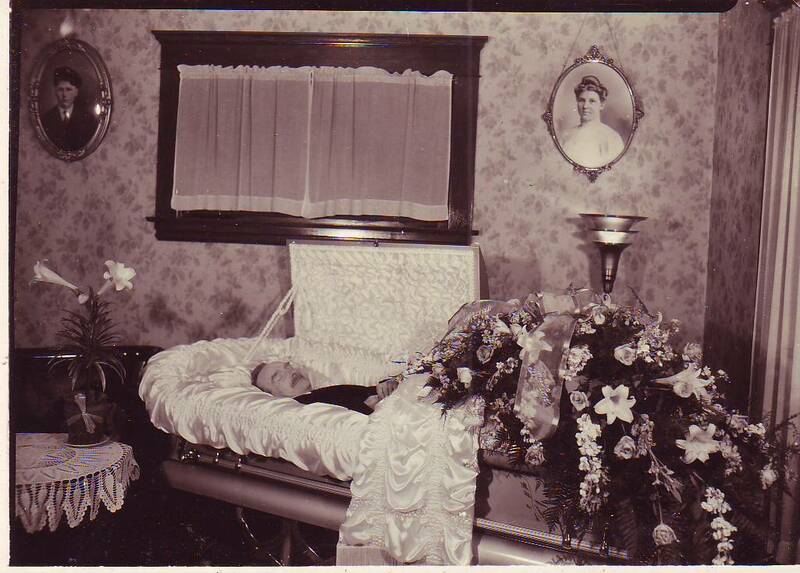 According to her death certificate, Louisa is buried in the Randolph Cemetery in Randolph, Texas. She is not listed in the cemetery indexes I have found or on Find A Grave, but it could just be that she has no grave marker. Her husband is not listed in the Texas Death Records or in the Randolph Cemetery. There is a Rootsweb post that states Guian Almerine Shelley, died in Nevada Co. (California?) on 10 May 1929. I have contacted the poster and asked for more information – just to wrap up the loose ends, but no response yet. The only record I found of Izora Shelley was on the 1880 census, but she could have been married and had children by the 1900 census. So far I have found no records relating to her, but I have not spent time researching in Clinton Co., Kentucky yet. When working with searches like this always try the mother’s maiden and married name. Keep in mind that the informant may not know any of the family names. 1. 1880 U.S. census, Clinton County, Kentucky population schedule, Neathery and Shelly, enumeration district (ED) 29, p. 622, dwelling 43, family 43, Louisa C. Shelley; digital images, Ancestry (http://www.ancestry.com : accessed 20 Jan 2010); citing National Archives and Records Administration microfilm T9, roll 410. 2. Texas, death certificate no. 44673 (28 Sep 1929), Louise Christine [Innis] Shelley; digital image, FamilySearch, “Texas Deaths, 1890-1976,” FamilySearch (www.familysearch.org : accessed 27 Dec 2009). 3. Texas, death certificate no. 19478 (28 Jul 1917), Lela [Shelley] Williams; digital image, FamilySearch, “Texas Deaths, 1890-1976,” FamilySearch (www.familysearch.org : accessed 27 Dec 2009). 4. Texas, death certificate no. 14602 (30 Mar 1936), Daniel Goodson Shelley; digital image, FamilySearch, “Texas Deaths, 1890-1976,” FamilySearch (www.familysearch.org : accessed 27 Dec 2009). 5. Texas, death certificate no. 14602 (30 Mar 1936), Daniel Goodson Shelley; digital image, FamilySearch, “Texas Deaths, 1890-1976,” FamilySearch (www.familysearch.org : accessed 27 Dec 2009). 6. Social Security Administration, “Social Security Death Index,” database, Ancestry (http://www.Ancestry.com : accessed 20 Jan 2010), May Blount, SSN 455-32-9594. 7. Texas, death certificate no. 20335 (16 Mar 1970), Nova B. [Shelley] Owens; digital image, FamilySearch, “Texas Deaths, 1890-1976,” FamilySearch (www.familysearch.org). 8. Texas, death certificate no. 08849 (9 Feb 1963), John Byron Shelley; digital image, FamilySearch, “Texas Deaths, 1890-1976,” FamilySearch (www.familysearch.org : accessed 27 Dec 2009). 9. Social Security Administration, “Social Security Death Index,” database, Ancestry (http://www.Ancestry.com : accessed 20 Jan 2010), Georgia Slaton, SSN 458-12-3118. 10. “Arkansas Death Index, 1914-1950,” database, Ancestry (http:www.ancestry.com : accessed 20 Jan 2010), Zera Ved Dillard, 24 Apr 1929, Hempstead; Arkansas Genealogical Society. 11. Texas, death certificate no. 45087 (11 Oct 1933), Patsy Jean Blunt; digital image, FamilySearch, “Texas Deaths, 1890-1976,” FamilySearch (www.familysearch.org : accessed 19 Jan 2010). 12. 1920 U.S. census, Delta County, Texas population schedule, Justice Precinct 2, enumeration district (ED) 49, p. 15B, dwelling 250, family 250, Febba M. Blunt; digital images, Ancestry (http:www.ancestry.com : accessed 20 Jan 2010); citing National Archives and Records Administration microfilm T625, roll 1795. 13. “Arkansas Death Index, 1914-1950,” database, Ancestry (http:www.ancestry.com : accessed 20 Jan 2010), Zera Ved Dillard, 24 Apr 1929, Hempstead; Arkansas Genealogical Society. 14. Social Security Administration, “Social Security Death Index,” database, Ancestry (http://www.ancestry.com:accessed 19 Jan 2010) May Blount, SSN 455-32-9594. 15. Texas, death certificate no. 96321 (22 November 1976), Georgia Slaton; digital image, FamilySearch, “Texas Deaths, 1890-1976,” FamilySearch (www.familysearch.org : accessed 20 Jan 2010). My grandfather was Daniel Goodson Shelley and my grandmother was Dollie Dovie Davlin Shelley.